AGK Partnership Ltd registered in England & Wales with registered number 10080124. A list of members’ names is available at 1 Kings Avenue, London N12 3NA, the firm’s principal place of business and registered office. Public registers: Details about the private limited company’s registration can be viewed at www.companieshouse.gov.uk under reference number 10080124. Details about our audit registration can be viewed at www.auditregister.org.uk for the UK and www.cro.ie/auditors for Ireland, under reference number C004651388. Authorisation scheme: Registered to carry on audit work in the UK by the Institute of Chartered Accountants in England and Wales. General terms and conditions: A letter of engagement accompanied by our standard terms and conditions will be provided at the commencement of any engagement to which they apply. Complaints: Complaints can be made by contacting, Mike Marcus. In the event of your not being satisfied by our response, you may also bring the matter to the attention of the Institute of Chartered Accountants in England and Wales.  In accordance with the disclosure requirements of the Provision of Services Regulations 2009, AGK Partnership Ltd, AG Kakouris Ltd & EAGK LLP holds Professional Indemnity Insurance. The cover is issued on a worldwide Territorial and Jurisdiction limits basis and excludes professional business carried out from an office in the United States of America or Canada and excludes any action for a claim brought in any court in the United States of America or Canada.